On the 10th of December 2014 the arts4care journey came to its crescendo as young people came together one last time on what would turn out to be a very special night. 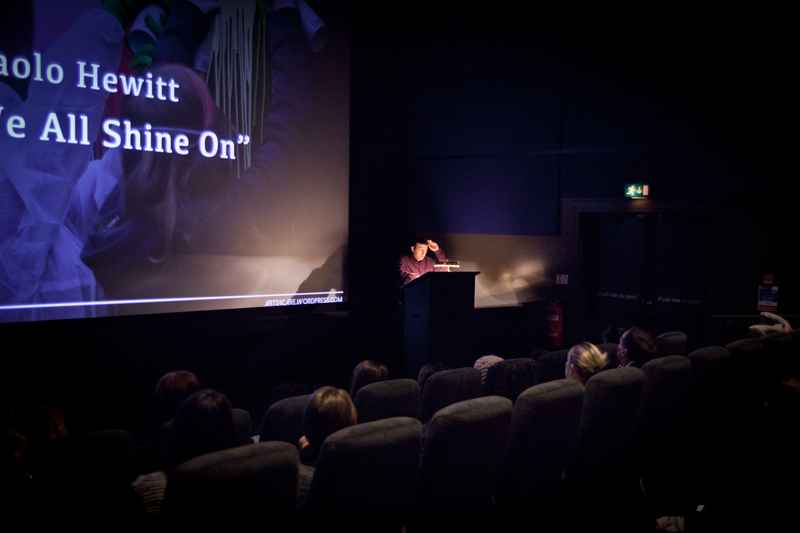 Their arts4care journey was to peak at their very own swish cinema launch! The atmosphere was incredible. Alongside an exciting slideshow to music capturing the their journey it was the premiere of their film “Listen To Me” In front of a packed private audience, which included family, friends and professionals. 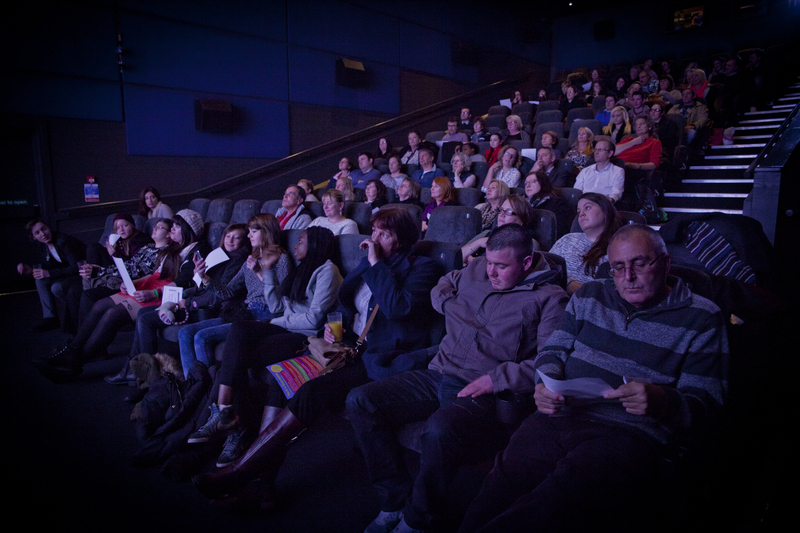 The film captured the audience with an intensity. The film was very well received, both moving and inspiring people. The young people took to the stage to receive a great applause and pick up their awards in recognition of the outstanding work they had achieved. Howard Lovelady, Head Of Children services for City Of York Council said that there were some important messages in the film and praised it as a stunning piece of work that needs to be seen by professionals. After the film Paolo Hewitt took to the stage and stunned the audience with a moving reading from his book “But We All Shine On” before signing copies of the book for the young people that took part in the project. Zoe Hardy from city of York Council’s Looked After Children Support Team, who initiated the project and helped set it up, spoke of her pride for the young people that had taken part saying they had been amazing! Discussions will now take place to explore how the messages in Listen To Me can be heard by professionals across the City.